Good morning! The Brewer family is up bright and early today, because Reese is racing his derby car with the Pack 420 scouts this morning. Hopefully, you can take a few moments to NOT race around this weekend and enjoy a little poetry. are in the field, children fast asleep. I've been a fan of Aaron Belz's poetry for years now. He has a way of writing about pop culture that's unpredictable, funny, and thought-provoking. Some of my favorites include "the love-hat relationship" and "alberto vo5," which are relationship poems (and oddly involve the head). What I really love about Lovely, Raspberry is that it's easy to flip any poem and get sucked in. For instance, I just flipped to "lone wolf," which begins, "Goodnight, moon. Or rather, goodbye. / I'm tired of the tricks you've played on me." Of course, I have to finish reading such a poem. Each poem is lovely like eating a raspberry. 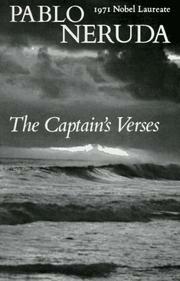 Blame Valentine's Day candy in the local Kroger or all the commercials advertising jewelry and flowers, but I've been in a love poem mood recently, and there is no better book of love poems (for my money) than Neruda's The Captain's Verses. This book was originally published anonymously, but Neruda finally acknowledged it in a 1963 edition. There is no pebble left unturned in Neruda's examination and celebration of love, including these lines from "Your Feet," "But I love your feet / only because they walked / upon the earth and upon / the wind and upon the waters, / until they found me." May your feet find Neruda too. You won't be disappointed. Note: Links in this post to books are affiliate links. However, I do not mention these books to make a profit. They are either books I'm connected to or ones I truly love. All other links in this post are not affiliate links. Thanks for the comment, Happy! I love using Saturday to get poetic. Cotton candy and raspberries, these are great. Look forward to browsing, thanks Robert. Robert, a man at my church let me read a poem he wrote entitled "The 7 Courses of Your Love" and it included the line: "Your warm embrace twice bakes my potatoe." I think I prefer your method of fusing food and sensuality. This was a really great poem. Thank you, Kevin and Catherine!